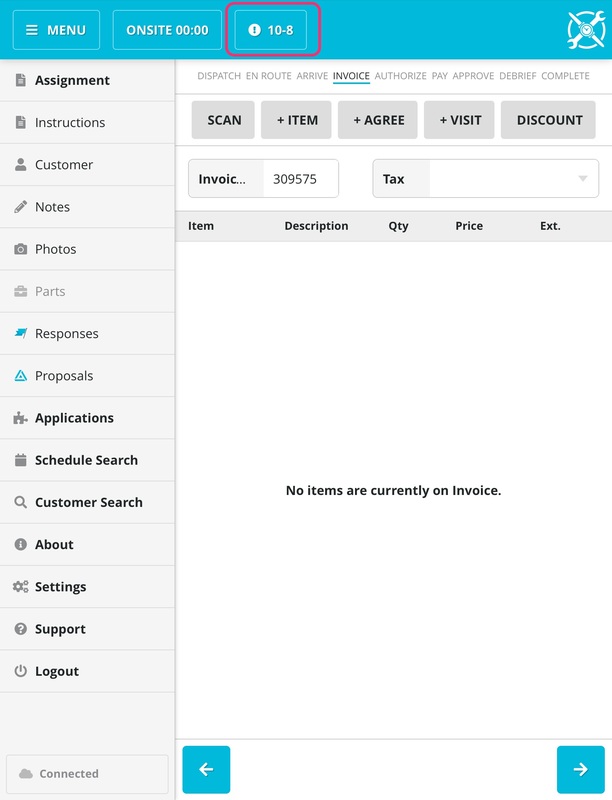 What does the 10-8 button do in the SWRemote application? 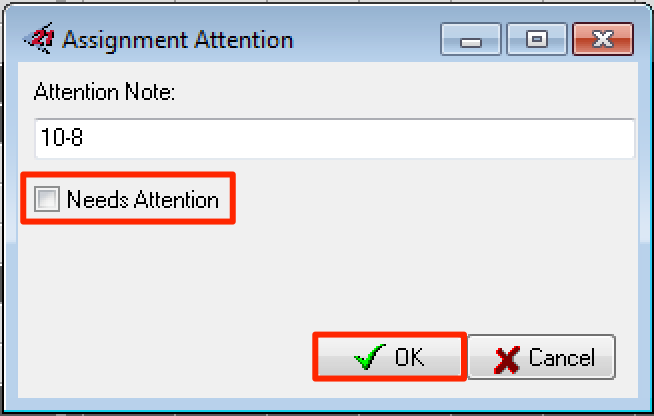 The 10-8 button sends an attention notifier over to the call board in SuccessWare21. This can be found as an "Exclamation Point" on the actual assignment. 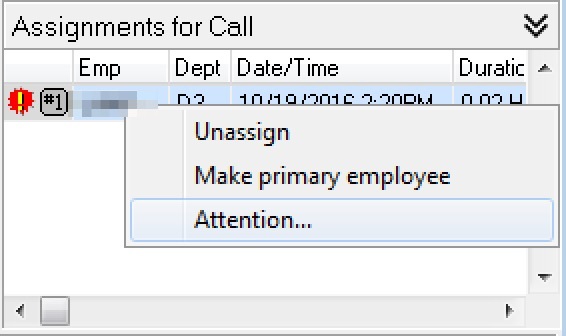 They can also click on the exclamation point on the right-hand side of the Call Center screen, and it will display all assignments that "Need Attention". This is mainly used as a way for the technicians to let dispatch know that they are almost done with their current call, allowing dispatch to call and confirm the technicians next call. First, you will see it on the actually technician's call, as shown below. If you click on the button labeled #2 it will open a menu and show you a list of all assignments as seen below. 2. 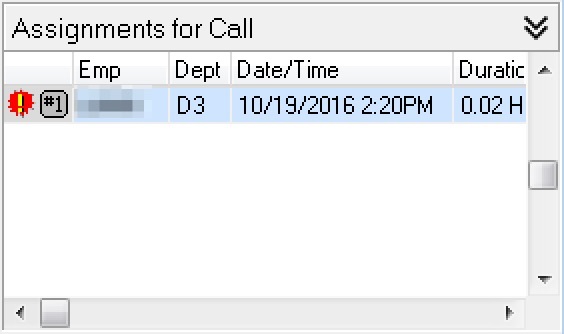 Locate the call with it's notification on the right hand side, toward the bottom.